Southwest Minnesota State University is a four-year public university offering a high-quality education in the liberal arts and professions to prepare you for a life that is successful both personally and professionally. SMSU has grown into a university of choice with high national rankings, producing scholars who become the leaders, thinkers, and entrepreneurs of the future. Students and faculty alike come here to engage in the rich "Southwest Experience," which starts with strong academics, fulfilling social opportunities and support from fellow Mustangs. We invite you to visit SMSU and to experience for yourself all that it has to offer. "Southwest Minnesota State University prepares students to meet the complex challenges of this century as engaged citizens in their local and global communities. Our comprehensive degree programs, taught in the liberal arts tradition, are dedicated to connecting students' academic and practical professional development experiences in southwestern Minnesota to the wider world." "Southwest Minnesota State University is a university of choice." 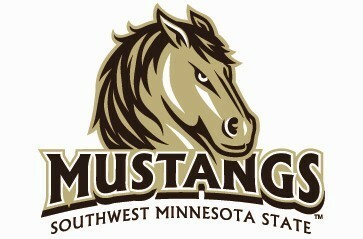 Southwest Minnesota State University is located in Marshall, Minnesota, a friendly growing community of 13,000. Marshall named one of America's Best Small Cities, is an easy drive from the Twin Cities, St. Cloud, Sioux Falls SD and Fargo ND. Marshall is also the proud home of Schwan's Company, Ralco Nutrition, Action TrackChair, along with major employers USBank, Archer Daniels Midland, Affiliated Community Medical Center, and Avera Marshall Regional Medical Center. The Graduate Education Department offers the Master of Science (MS) in education and a specialization in Teaching, Learning, and Leadership. This emphasis is offered in a learning community format or on-campus/blended format. It provides educators with an opportunity to pursue graduate study while building valuable professional relationships with fellow educators.